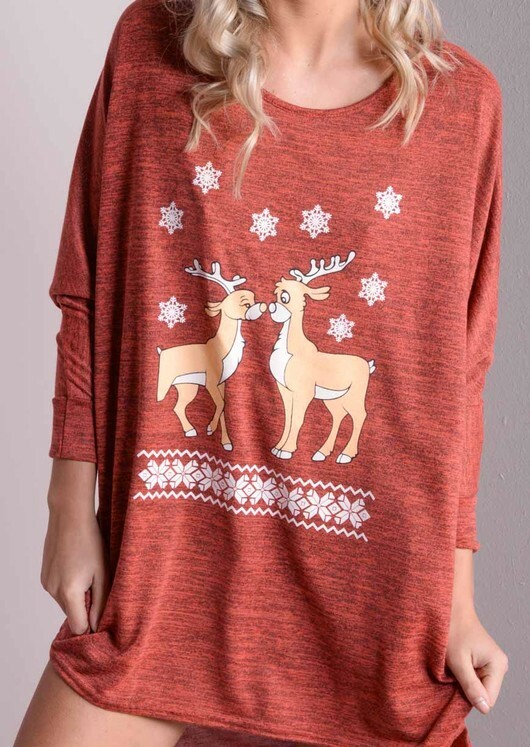 Get your Christmas spirit in check with this super cute Christmas deer t-shirt dress! With it's oversized fit and adorable deer character, you'll be irresistibly cute this Christmas. Features: dip hem design, oversized, stretch fit, scoop neckline.